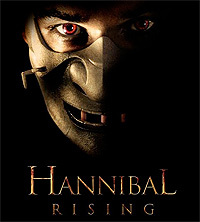 Singapore -- What makes "Hannibal Rising" intriguing as a film is not any over the top display of murderous insanity; what makes it particularly interesting is its realistic portrayal of how an ordinary human being can devolve to become a monster. For the uninitiated, Hannibal Lecter (played by Gaspard Ulliel) is the infamous genius serial-killer as featured in the movies "Red Dragon", "Silence of the Lambs" and "Hannibal", as made famous by Sir Anthony Hopkins' acting in the title role. In "Hannibal Rising", which serves as the prequel to the novel series by Thomas Harris, we learn of how Hannibal became the cannibal. A friend was shocked of my interest in the film. To him, it seemed sickening to "relish" in grisly scenes of blood and gore on the big screen. But is it not the more "sickening" to not attempt to understand how the demented came to be? A story, be it in film or in print, is only as good as it is credibly realistic, offering us much lessons with the least of preachiness. For that effect, "Hannibal Rising" achieved to some extent. Blood and gore is not always pointless. As Stonepeace once said, "The sight of blood and gore is only good for one thing - to prevent further blood and gore." The violence in the film was thus depicted not for sensational effects, but are crucial to its purpose. As a boy growing up in Nazi-overtaken Lithuania, Hannibal witnessed the violent deaths of his parents. To his utmost horror, which haunts him through recurrent nightmares, he sees his toddler sister snatched from him by desperate starving mercenaries. With no other sources of food in the midst of a bitter winter, she was killed, cooked and eaten by them. So it turns out, Hannibal, who becomes a horrendous victimiser, was once a victim too, of cruelty by individuals, and by the cruelty of war. Come to think of it, war is about mass-victimisation. Perhaps this is the first important lesson of the story - that the birth of thieves and murderers is often conditioned by society. When we forget that victimisers were probably victims too, we forget to empathise with them, while we easily demonise them, which ironically further victimises the victimisers themselves. Sympathy for the devil is not always devilish. The lack of sympathy can be more so! As Hannibal grows up into a young man, he coolly plots his revenge against those who murdered his sister. Driven by seething anger at their lack of repentance, he exacts horrific vengeance - by devouring part of their flesh. That is how his monstrous appetite came to be - out of a twisted sense of justice. Here is the paradox - Is Hannibal the cold-blooded killer or the loving brother? Or has his protective love, which failed him and her, transmuted into destructive hate? Is he numb to the need for compassion or has it merely been forgotten? In Buddhism, we would say he still has Buddha-nature beneath his delusions, which requires uncovering. There is hope of a change of heart. We see Hannibal become progressively godless, as he questions why Abraham's son was saved in the nick of time by an angel before being sacrificed to God, while no angel came to save his innocent sister. He even asks whether God meant to eat his Abraham's son. There and then, his sense of feeling injustice probably transformed into a sense of warped inspiration. Of course, it should not be mistaken that atheists are definitely nihilistic, for there are many other great religions and personal philosophies which advocate comprehensive moral guidelines without needing to centre around faith in any supreme deity's commands. Buddhism is one good example, known for its detailed moral teachings, which circle around the welfare of all beings great and small. On the subject of flesh-eating, be it cannibalistic or otherwise, the virtue of vegetarianism (and veganism) is expounded as not only worthy but important in Mahayana Buddhism. 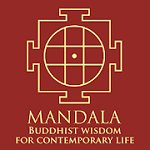 In the Lankavatara Sutra, the Buddha taught thus - "Mahamati [Bodhisattva], I see that living beings are in the transmigration of the six paths, being together in births and deaths, they give birth to and foster each other, and cyclically become fathers, mothers, brothers and sisters of each others; They may be men or women, may be the direct line of descent, may be cousins, affinities, uncles, aunts, sons, daughters, grandsons, and other various relatives of each others; They may also be born in other paths (of animal, ghost, god, and so on. ), whether virtuous or evil, they frequently become the relatives of each other. Because of these relationships, I see that all meats eaten by living beings are of their own relatives. Due to the greed for flavors of meats, the living beings circularly eat each others, then they always have the thoughts of hurting each others. Their painful karmas are always increasing, so they are wandering in cycles of births and deaths and unable to escape." In a horrific twist, it was revealed to Hannibal by the leader of the mercenaries, that Hannibal too had eaten part of his sister, as he was given food with her bits mixed in it. Taunting him, he exclaimed that if he wished to kill all who ate his sister, he would have to kill himself too. To this remark, we see the usually chillingly calm Hannibal suddenly break down, as he becomes raving mad with violent denial. If we are to reflect on the sutra verse above, it should be startling to us too. If we are meat-eaters, we too eat of our cosmic family when we partake of any animal's meat. In the rounds of cyclic existence within Samsara, many too are unknowingly "cannibals" like Hannibal, devouring our own kind, and those kind to us. More shockingly, unlike the starving men who needed to survive, we have many alternative food choices. As consumers, most of us have the power to choose diets which do not "demand" murder. Every single day, millions of animals die worldwide to satisfy the human palate. The good news is vegetarianism is on the rise in many places. As the tagline goes, "It started with revenge." What would you have done if you were Hannibal? What would be the best form of revenge to take? Should you wreck any vengeance at all? What if the guilty are not only unrepentant, but continue to harm others, as in the story? How should they be stopped? 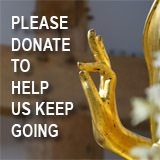 Can you manifest the wrathful compassion of the skilful Bodhisattvas without having rage within? Should you alert the authorities? What if you do not have enough proof to charge the guilty as so? What if the law fails to apprehend them? Would you take justice into your own hands? Will you break the law to uphold justice? Would it be easy to simply forgive? Would forgiveness be enough? Disturbing questions, but worthy food for thought indeed. Would we too become "Hannibalistic"? I hope not. May we do our best to awaken the pure Buddha-nature within each other. May no being devour another, be it with hatred or greed. May all beings be well and happy.